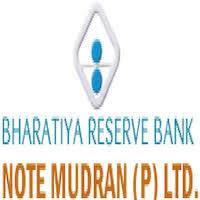 Bharatiya Reserve Bank Note Mudran Private Limited - BRBNMPL/Company published an official notification for Recruitment of Assistant Manager for 07 posts. Eligible candidates can apply for this recruitment. You can view more details about this recruitment including No. of posts, name of post, Educational qualification, Age limit, Selection process, How to apply etc... You can also view official notification and other important facts about this recruitment e.g. Important links and Important dates. Assistant Managers (Ink Manufacturing Unit): Bachelor’s degree in Chemical Engineering or Polymer Science & Technology with a minimum of 60% marks in the aggregate from a Government recognized University having two years’ post-qualification experience in Ink Paint manufacturing facility. Assistant Managers (Rajbhasha): Second Class Master's Degree in Hindi/Hindi Translation, with English as Core/Elective/Major subject at the Bachelor's Degree level; OR Second Class Master's Degree in English with Hindi as Core/Elective/Major subject at the Bachelor's Degree level; OR Second Class Master's Degree in Sanskrit with English and Hindi as Core/Elective/Major subject at the Bachelor's Degree level; OR Master's Degree in both English and Hindi/Hindi Translation, of which one must be Second Class. The qualifications must have been obtained from University recognized by UGC. Experience: Two years’ post-qualification experience in Hindi implementation and experience of terminological work in Hindi and translation work from Hindi to English and vice-versa, preferably of technical or scientific literature. Interested and eligible candidates can send application in prescribed format to below mentioned address along with necessary documents. Address: The Director (F&A), Bharatiya Reserve Bank Note Mudran Private Limited, Corporate Office, No.3 & 4, I Stage, I Phase, B.T.M.Layout, Bannerghatta Road Post Box No. 2924, D.R. College P.O., Bengaluru - 560 029.